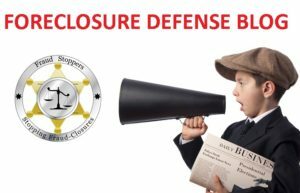 The following information 11 Foreclosure Defense Considerations is the result of the dedication, research, and work of CJ Holmes and Home Owners for Justice. 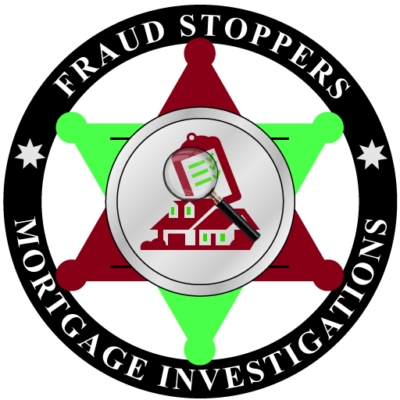 This presents the facts of fraudulent foreclosure documents used to steal homes. Following is an overview of what owners should consider when faced with the potential loss of their home. The first eight considerations focus on fighting back to keep the home. The last three can potentially delay the home loss, but in the end, will most likely lose the home. How each owner chooses to proceed is up to that owner, their situation, their time, their ability to fight, and their resources. CJ Holmes is not an attorney, CPA, loan modification or securitization expert, but these strategies seem to be the most effective foreclosure defense strategies of which many don’t depend on third parties to perform, can be done by the owner with minimal fees paid to others, and will likely result in at least foreclosure postponement, possible foreclosure cancellation, outright loan rescission or wrongful foreclosure restitution. Warning: Owners sometimes get lured into dangerous traps – like recording documents of their own on their properties. DON’T DO IT. If you have, here are some documents to use to rescind (take back) the documents you recorded. DAs will find these owners “easy-pickin’s” to prosecute for fraudulent document recordation. 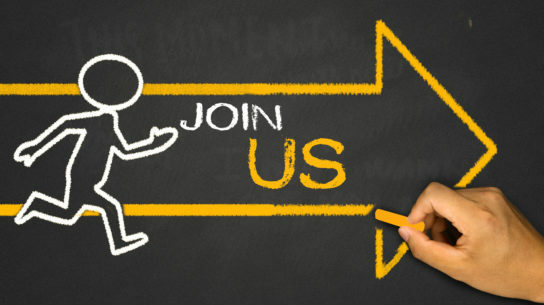 Warning: Foreclosure Consultants must be licensed in CA since 2009. The CA legislature passed a Foreclosure Consultant Law that requires anyone, other than licensed attorneys, who charges for any type of foreclosure defense assistance, must be licensed and bonded with the California Department of Justice. Protect yourself by asking those selling assistance to prove they are licensed to do so. Californians, please do yourselves a favor and suspect all “out-of-state” help. These entities are beyond the CA Department of Justice. Demand proof of all claims no matter what the claims are or who makes them. Warning: Audits. Typical “Loan Audits” or “Securitization Audits” often with Bloomberg screen shots, do not get the powerful results that shrewdly using the law does. Most of the information used in these audits are freely discoverable from demanding the information from the servicer, reviewing the recorded documents, or accessing the SEC internet site. The whole point of any technique is to ensure it will actually help get a loan modification or cancel the foreclosure. 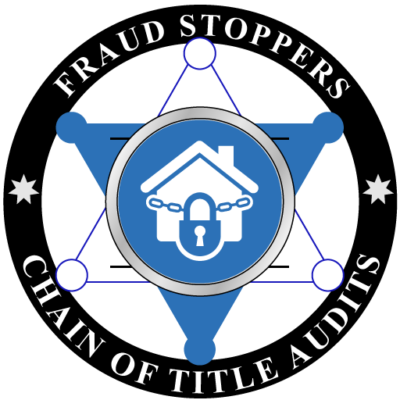 Please contact us before spending thousands of dollars on an audit, that in the end, most likely won’t stop the foreclosure of your home. Foreclosure Defense Attorneys: Good, honest, knowledgeable, effective attorneys for foreclosure defense can be impossible to find or very expensive. The best suggestion is to search your county and nearby county’s courthouse records database for lawyers who are suing the bank/servicer you are fighting. 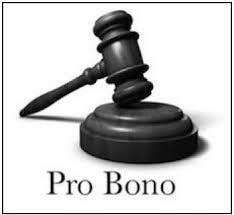 Whom you are fighting will be listed as a defendant in wrongful foreclosures. Note the names of attorneys representing the plaintiffs (homeowners) in these actions and contact them. 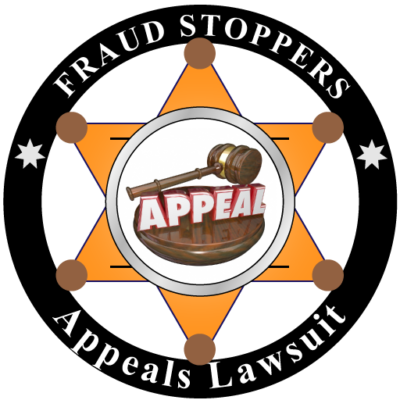 If you find yourself cheated by an attorney falsely claiming to do foreclosure defense, as many have, please file a complaint with the California State Bar. Whether you are in default or not or even after you’ve lost the home to foreclosure, for each and every infraction by a mega-bank, file/amend your OCC complaint. The OCC Complaint strategy has helped many get their foreclosure auctions postponed. At this time at least delay the potential loss of your home and stay in the fight to keep your home. If/when we shut down the foreclosure mills so owners no longer risk losing their homes, then the focus will be on appropriate loan mods and/or justice and restitution. The OCC has an Enforcement and Compliance (E&C) division. 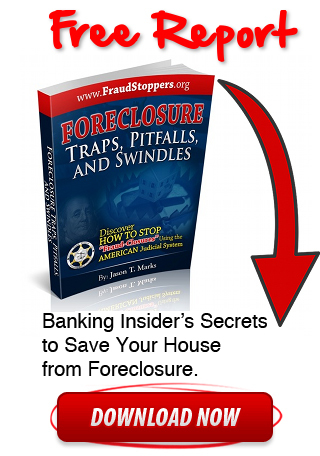 As you may already know, the five major banks were ordered by the Court on April 4, 2012, to clean up their act, stop committing forgery to foreclose, and ensure all foreclosures “are supported by competent and reliable evidence.” This is almost a year after the OCC ordered 12 Servicers to Cease and Desist their fraudulent practices in April 13, 2011. As you will discover, evidence is rampant that servicers continue to forge foreclosure documents and steal homes. Any time and every time you identify a bank violation of these Consent Orders and Judgments, complain to the OCC Department of Enforcement and Compliance. Read just the first 2 pages of these OCC Consent Orders. Then you’ll understand why thousands of owners decide to fight back instead of giving up and giving in to the theft of their homes. IF you are not being serviced by a mega-bank, PLEASE complaint to the Consumer Financial Protection Bureau [CFPB]. There is a wealth of information on their website. Submit at least two Qualified Written Request Letters. This is key to proving whether the Lender foreclosing on a home has “standing” – the legal authority to foreclose. This is the ‘Backbone of Owner Defense’ and works for every owner in every state, as it is based on Federal Laws. No matter if you are current in your payments, in arrears, or facing foreclosure, send your servicer/mega-bank Qualified Written Request letters. These letters are based on RESPA, 12 USC 2605(e), the Real Estate Settlement Procedures Act and the FDCPA, Fair Debt Collection Practices Act. Submit these letters immediately even if your loan is not in arrears. Everybody needs to verify they are making their payments to the correct party. It turns out that thousands of borrowers are NOT paying the correct party and losing their homes over it. Be sure to send at least one followup letter whether you receive any information back or not, and keep a log of every interaction, response, and information received. You may receive different information with the different requests. Keep track of everything. The second letter would be a repeat of the first if there was no response from the servicer, or would be a follow up letter demanding clarification of information received, or demand to know why specific information was missing. (d) extending the statute of limitations as claims against the bank for non-response or bad response is three years starting 60 days after the LAST demand letter was sent. We’ve been told that with the correct attorney who knows how to do these lawsuits, getting damages is easy and can help fund a foreclosure fight war chest for the owner. Mail these letters certified, signed-receipt requested, to all parties at the same time as listed on the QWR letter. 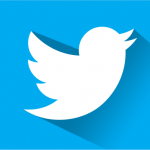 SampleQWR [word] [pdf] The document name includes the date it was drafted. Check to be sure you are using the latest version. QWR letters last updated May 16, 2013. QWR timelines were shortened by the Dodd-Frank Act and took effect in January 2013. The sample QWR letter reflects these changes. 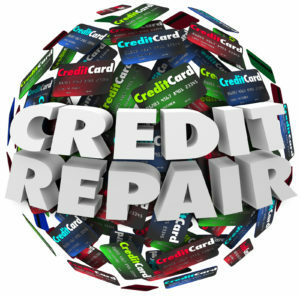 The Consumer Finance Protection Board enforces RESPA issues. 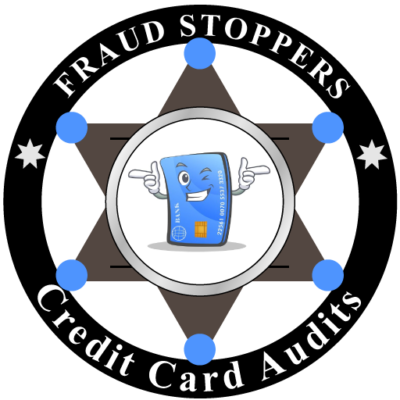 Stop Servicers/Debt Collectors from hounding you. 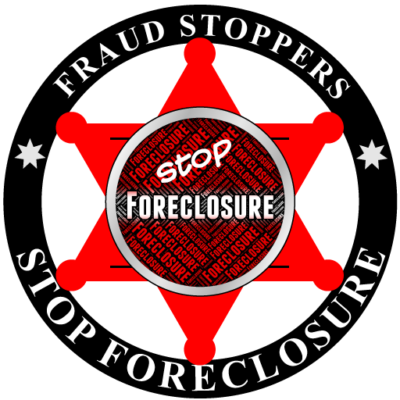 Get copies of the Foreclosure Documents if/when recorded and analyze them to start fighting back. Forged documents are a glaring sign that the foreclosing party does not have the authority to foreclose, that they lack “standing.” This is now a “material” violation of CA SB900 and the lender, servicer, and foreclosure trustee can all be sued for damages, before or AFTER foreclosure. Here is a pdf spreadsheet to view/copy if excel doesn’t work. Until a Notice of Default [NOD] is filed, there will likely NOT be any Assignments or Trustee Substitutions recorded on the property. This is the “secret underworld of MERS” in operation, where all ownership and note manipulation is kept secret from the public for as long as possible. Just a few minutes prior to the NOD being filed, there may be one or more assignments and trustee substitutions filed. When you receive notice an NOD has been filed, go to the county recorder’s/registrar’s office and get certified copies of every notarized document, and plain copies of the others. In a non-judicial, Deed of Trust state, foreclosures are just a count of days: 90 for the NOD, 21 for the Notice of Sale. 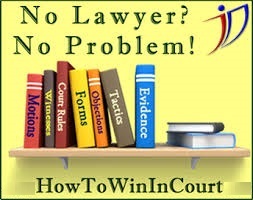 In a judicial, mortgage, state, foreclosures are handled in a court process. In either case, if the owner doesn’t fight back, the home will be lost. If the owner fights back, often the foreclosure auction (sale at the courthouse steps) is delayed. If the owner fights back very shrewdly, leverage is gained in negotiations – from loan modifications to a “draw” (both sides stop while owner stays in the home) to an owner win. It’s definitely worth a fight. The recorded documents you want to get are all of those filed AFTER the Deed of Trust/Mortgage in question. Only those documents will have meaning to this current situation. Assignments, Substitutions, Rescissions, and Trustee Deeds on Sales are notarized. Notices of Default and Notices of Trustee Sales are not notarized. Don’t worry if you don’t have each of these types of documents. Just get what you have. Input all requested information making sure that documents are in order by date. This makes it easier to spot broken chains of authority (assignments recorded AFTER NODs) and see at a glance all document signers and notaries so you can check our for the same names as used on your documents. These efforts are building your file of forgery and fraud, the building blocks of the next strategies to save your home and get criminal prosecutions started on the banksters. 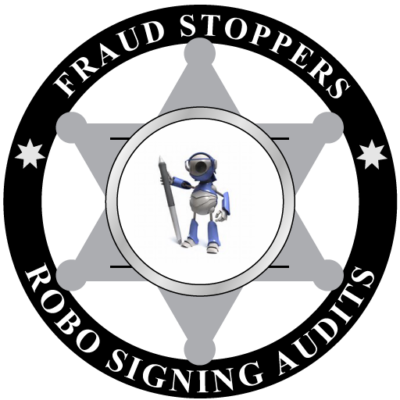 ‘Robo-signing’, which is honestly called ‘forgery‘, is a key element we can use in the fight to stop foreclosures. 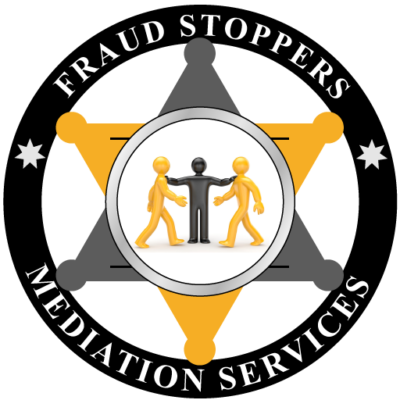 Forged signatures are a building block of fraud used by Servicers as they legally have NO RIGHT to foreclose. Therefore, bringing all this fraud and forgery to light will be key to shifting the political and legal winds of this war in favor of owners. Simply summarized, this strategy calls for requesting signer signatures from the notary’s book, called journal entries, and getting notary signatures from the secretary of state with which to compare the signatures on your documents. IF a notary complaint requires a certified notary signature, be sure to order that. Also check out the Suspicious Signatures webpage to possibly find other signatures for the signer names on your documents. 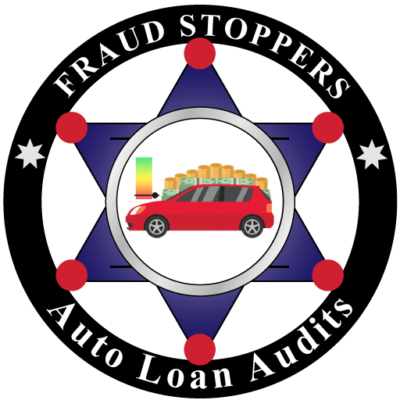 Once you can show any sign of forgery on any of the signatures, file the appropriate notary complaint(s), notary bond complaint(s), and include these complaints in the Owner Statement of Suspicious Documents. This strategy is explained in more detail on the Notary Complaints webpage. article Mar 2012: Robostamped: Deposition of Michele Sjolander, Exec VP of Countrywide. All signatures on documents coming out of RECONTRUST are forged, signed by unknown persons at unknown times. Let’s get Recontrust shut down. Complete an Owner Statement of Suspicious Documents and send to elected Officials. This strategy combines the document analysis from #4 and the proof of forged signatures and false notarizations from #5 into one package to be presented to the owner’s local officials such as the DA, Recorder, Sheriff, and Supervisor(s), the OCC or CFPB overseeing the servicer trying to foreclose, with a copy sent to HOFJ to pass on to the statewide grand jury in each state. Then we encourage redacted copies (private information whited out) to be sent to every mainstream media station. “Plastering the planet” with proof of fraud is the best hope the people have of shutting down the foreclosure mills and keeping their homes. 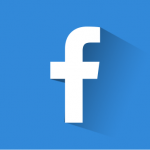 File complaints against any California Corporations with the CA Department of Corporations. article Nov 2012: Lorraine Brown, Founder of DocX, just pled guilty to directing employees to forge over 1M foreclosure documents. 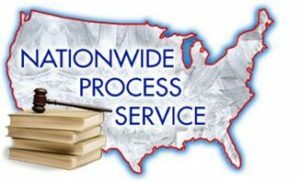 Why can’t we get all Foreclosure Mill Forgers, like Recontrust, Cal-Reconveyance, Quality Loan Servicing charged and shut down like this one?? article Jan 2013: Foreclosure Mill Marshall Watson to be Shut Down! File a Quiet Title lawsuit. This strategy of a Quiet Title Lawsuit is subject to state law as property statutes are at the state level. Some states have bonding requirements that have stopped owners from filing, but there may be workarounds. This is the one type of lawsuit where recorded documents are NOT presumed to be accurate. The bank must provide proof of ownership claim and right to foreclose. 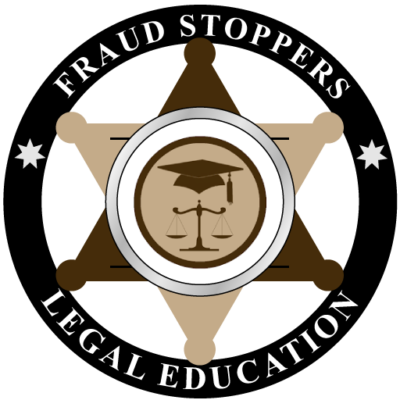 For more information on filing a Quiet Title Lawsuit visit https://www.fraudstoppers.org/quiet-title because Fraud Stoppers has pro se products and services so you can save money in legal fees and file for Quiet Title without a lawyer. 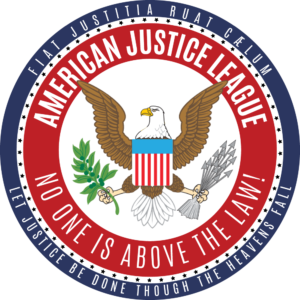 However you are encouraged to seek the help of a local competent attorney to fight for Quiet Title to your home for you because your odds of winning are usually higher when represented by council. 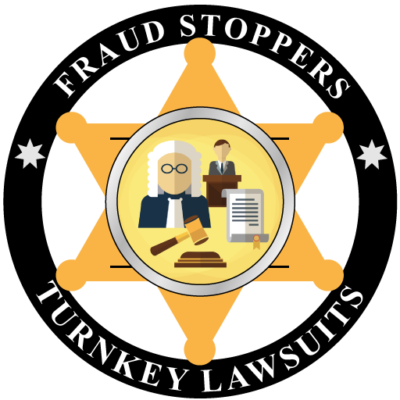 If you want a lawyer to help you file a quiet title lawsuit Fraud Stoppers can help you with that too; just fill out the intake form at the bottom of this page and one of our agents will reach out to help you. Foreclosure! Don’t lose your home – fight back and win! Searching for legal leverage to avoid foreclosure? Overcoming Foreclosure is the answer to your prayers. It describes why MERS loans are not enforceable, and provides a step-by-step approach to assemble a Quiet Title lawsuit to exploit fatal flaws in the documents – and save your house. When Wall Street decided to use mortgages as debt collateral, they needed large volumes of mortgages. Typical offers of mortgage-backed certificates ranged from one-half to two billion dollars. To achieve this volume, lenders like American Home Mortgage and Countrywide had to cut corners and expedite the processing of loans. Attorneys were replaced with clerks; and clerks worked without legal supervision. 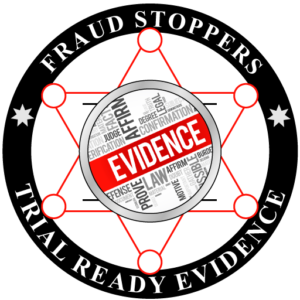 Formalities required by the Statute of Frauds and mandatory recording statutes were treated like they did not exist. Ignoring mandatory statutes has consequences. Every mortgage or deed of trust involving a shell corporation called Mortgage Electronic Registration Systems has been rendered unenforceable by property statutes which were simply ignored. 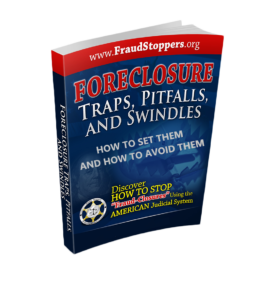 Overcoming Foreclosure describes why these loans are not enforceable, and it provides a step-by-step approach for assembling a Quiet Title lawsuit designed to exploit these fatal flaws. Overcoming Foreclosure is grounded in law, but it has been written for the homeowner confronted with this problem. If you have been searching for legal leverage on websites such as Living Lies, Foreclosure Hamlet and sites with similar content, this book is intended to be the answer to your prayers. Consider applying for a loan modification. Homeowners just want an affordable loan for the home they purchased or refinanced at the top housing price bubble. This bubble was intentionally created and manipulated by the bankers and the Federal Reserve, just as this foreclosure crisis was intentionally created and manipulated by the same thieves. Make no mistake, homeowners are victims in this ruse to steal their land. 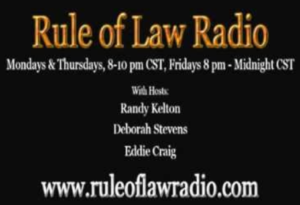 Simply listen to William K. Black and Catherine Austin Fitts on the home page of this website. Other webpages cover various aspects of loan modifcation in more detail, with links to free help and discovering if Fannie Mae or Freddie Mac owns your loan: Loan Mod Links & Info, HAMP, and HARP2. Beware working with NACA. NACA has contracts and is paid by the very servicers which decide on your loan modification terms. In real estate, this is called “dual representation.” NACA has refused to respond to my demand for full disclosure of their fees and servicer contract terms. Watch out. Other warnings: “Trial Loan Modifications”: Loan Servicers frequently tell borrowers that if the borrower will just send “trial loan payments,” typically half the normal payment for 3-6 months, then the borrower will qualify for a loan mod. These trial mods are not substantiated by any paperwork. Not only is this FALSE, it is ILLEGAL. If your Servicer suggests you do this, immediately file a complaint with the OCC. 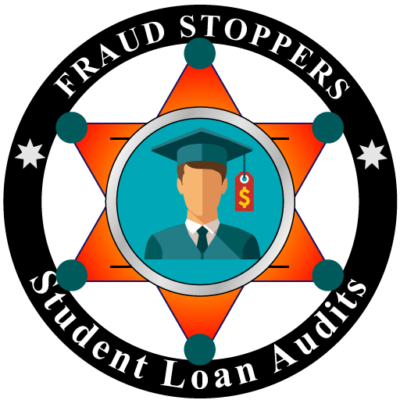 Word on the street is that every penny sent to the Servicer AFTER the borrower defaults on the loan is pocketed by the Bank and illegally not applied to your loan or impound accounts. Send Qualified Written Request asap: Prior to signing any loan modification paperwork, please be sure you have submitted the Qualified Written Request, strategy #2 above, to ensure their payment history on your loan matches your records and that your payments will be going to the correct party. A recent study of OCC data found over 800,000 families in the nation were illegally foreclosed because banks broke the rules for loan modifications. And Washington is letting the banks get away with this. Log Every Conversation: Be sure that every time you speak to anyone about your loan, document the conversation with the company name, the employee name, the employee ID, the department name, the geographic location, and that employee’s supervisor name. This will give you greater power in advocating your case with the OCC and others. Sell the home in a short sale. If a loan modification is not workable due to income or other loss, then a short sale may be the most elegant and least stressful way out of the home. A short sale is where the sales price of the property is less than the amount of the loan(s). Sometimes short sales can postpone foreclosure auction dates, particularly when combined with an OCC complaint (as appropriate). Frequently there are HAFA ‘move out’ moneys available for an owner at the close of a short sale. Be sure to work with a competent short sale representative that can get the transaction completed and ensure you get the most benefit possible. Contact us for complete details and how a short sale might benefit your situation. 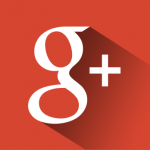 We are very successful with this challenge for any property in the state of California. There may be tax consequences of selling a property short, and speaking to your tax adviser is highly recommended. 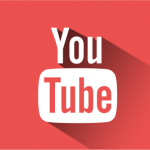 CJ’s video and blog article about this topic. This is general information only for California State. Please seek competent legal and tax advice for your specific situation. Jan 1: Mortgage Debt Relief Act of 2007. 12/31/2012 deadline extended to 12/31/2013. This applies only to Federal Income Taxes, and is for “Purchase Money” owner occupied single family homes only. Does not apply to refinanced moneys. Purchase money is the loan used to purchase the property. CA tax debt relief expired 12/31/12. SB30 is in the works to conform state law to federal law and be retroactive to 1/1/13. Consider a Deed in Lieu of Foreclosure. This involves the owner deeding the house back to the servicer without as many unknowns as a foreclosure auction. The owner will still face the same tax consequences of income tax on phantom gain as in a short sale. Owners have to determine their willingness to let the home be taken illegally from them. Bankruptcy has been a mainstay of foreclosure auction postponement. If you decide to file bankruptcy, please be sure, whether representing yourself in court or using an attorney, that the schedule of assets presented to the court lists the loan as an UNSECURED debt. This is a key technique in forcing the bank’s attorneys to prove the bank owns the note and has the right to foreclose. IF the debt gets discharged as unsecured, then the owner should immediately get the title company to demand the settlement paperwork from the bank to remove the loan debt from the property record. Evidently for farmers, there is a Chapter 12, which is a force down of the loan principle to current market rates. If you think this might apply to you, please mention it to your attorney.